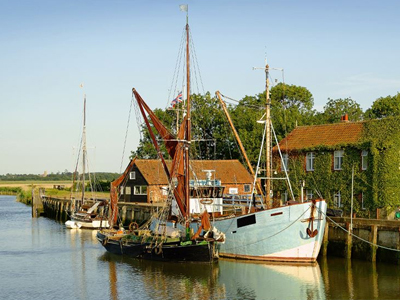 Home of the world famous Snape Maltings concert hall, this is a great spot to take in classic Suffolk scenery where the river Alde and reeds meet in the settings of these beautiful old Maltings buildings. One of the prettiest villages on the Suffolk Heritage Coast and a true historical gem. In the Middle Ages it was a thriving sea port from where Eleanor of Aquitaine set off to ransom her son Richard Coeur de Lion. 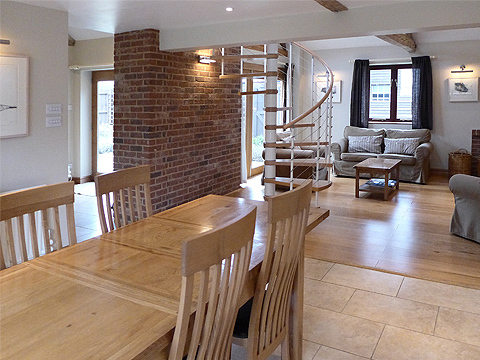 The gradual silting up of the river has left it a quiet village of brick and timber houses. 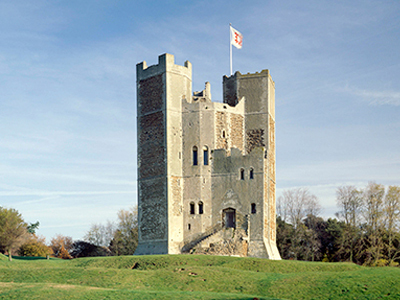 The 12th century castle built by Henry II and the fine medieval church dominate the skyline. 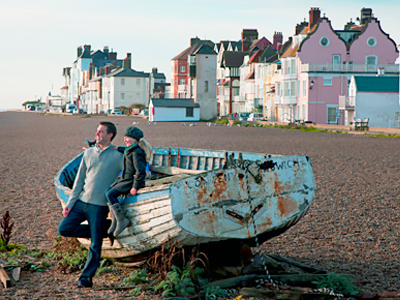 In the summer Aldeburgh is a bustling seaside town with its wide high street full of delicatessens, shops and galleries & famous for its fish and chips (best eaten sitting on the beach!). 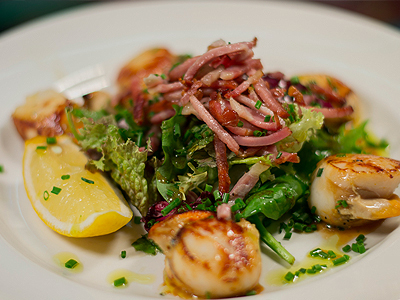 The colourful seafront properties sit behind a sea wall and a pebble beach beyond, with its fishing boats selling fresh crabs, lobsters, cod & skate. 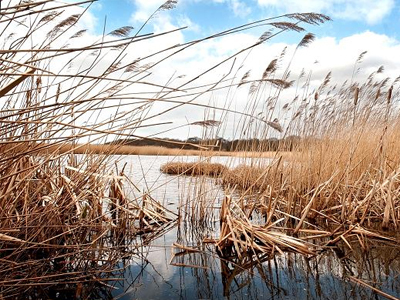 Minsmere is often used as a set for spring watch and offers families and keen birdwatchers a great day out. Nature trails take you through a variety of habitats to excellent birdwatching hides. There is a visitor centre where you can find out more about the local wildlife. 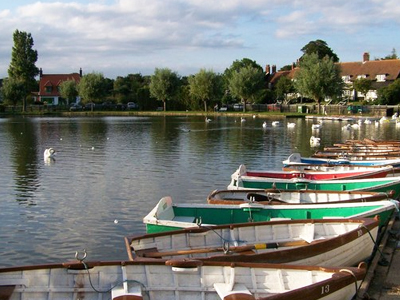 Thorpeness is a quiet village of about 400 people in the winter, yet swelling to over 1,600 people in the summer, as it is still mainly a holiday village, with the highlight being a regatta on the Meare at the end of August and a huge fireworks display. It is a popular day trippers' destination with its beach and Meare, many amenities and sights such as the House in the Clouds. meaning shelter or harbour. At the top of the village is the 15th century St. Andrew's Church. The size of the St. Andrew's ruins demonstrate how large the parish once was. 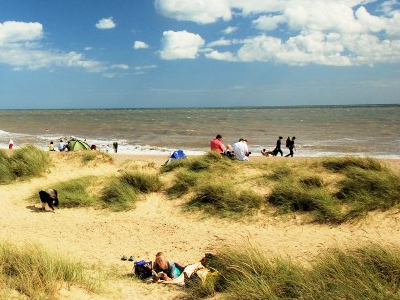 Sandy beach and dunes make it a great spot in summer for beach picnics and it has two good pubs to eat in. Southwold in Suffolk, is seen by many as the town that time forgot & the famous home of Adnams Suffolk beer.Stroll down the ancient high street and watch the world go by. 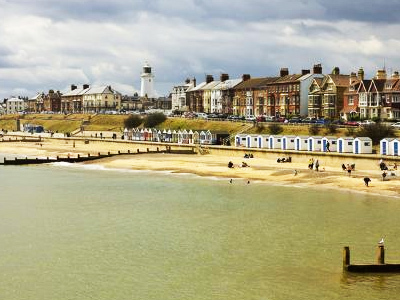 Take your bucket and spade on the famous beaches of golden sand, or walk along Southwold pier, marveling at the spectacular views of the town, beach huts, and lighthouse.